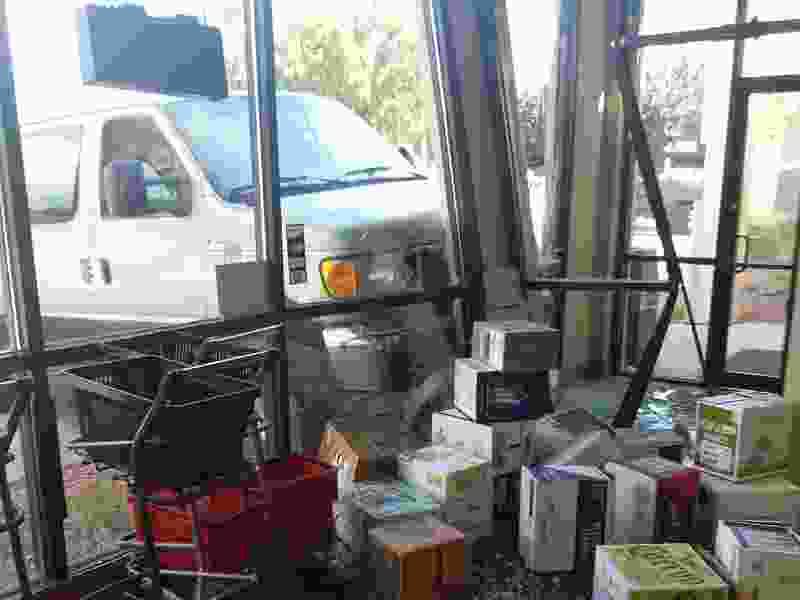 (Photo courtesy of the Utah Department of Alcoholic Beverage Control) The Moab liquor store will be closed for several days after a van crashed into the store and caused major structural damage. The state-owned liquor store in Moab will be closed for several days after a van crashed into the front of it. No one was hurt in the Monday accident, including the driver and store employees, said Terry Wood, spokesman for the Utah Department of Alcoholic Beverage Control. The same cannot be said for the building, 55 W. 200 South, Wood said. “The front of the building is a mess." The crash occurred about 11:35 a.m. when the driver “thought he was in reverse," said Moab Police Chief Jim Winder. The vehicle lurched forward, over the curb, and slammed into the property. The Utah Division of Facilities Construction and Management, along with a consulting engineer, inspected the store Tuesday and determined the building is structurally sound and repairs can proceed. The store could reopen by Friday morning or possibly Thursday afternoon, Wood said. Until then, customers seeking wine, beer or spirits will have to travel to Monticello or Green River — about 50 miles in different directions from the resort town of Moab, which is the gateway to Arches National Park. Liquor store employees will continue to fill orders from area bars and restaurants. 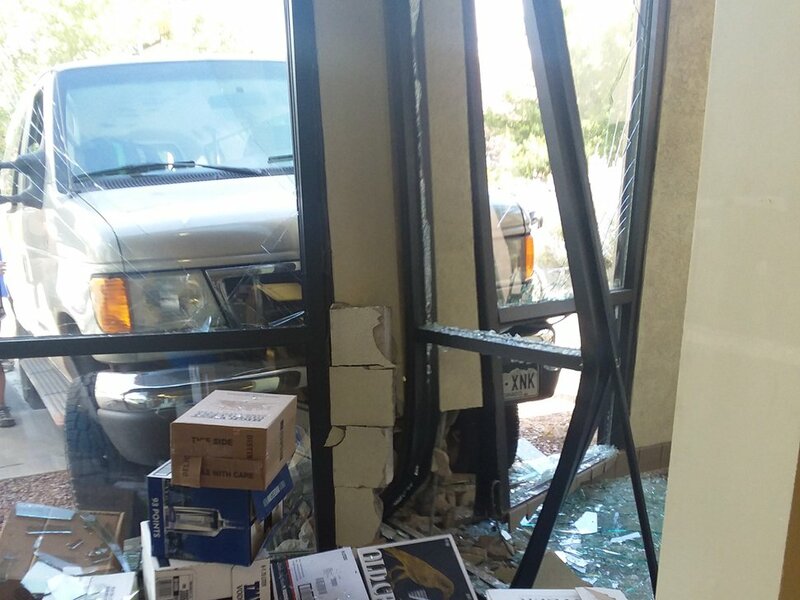 (Photo courtesy of Utah Department of Alcoholic Beverage Control) A van crashed into the Moab liquor store on Monday, causing major structural damage.